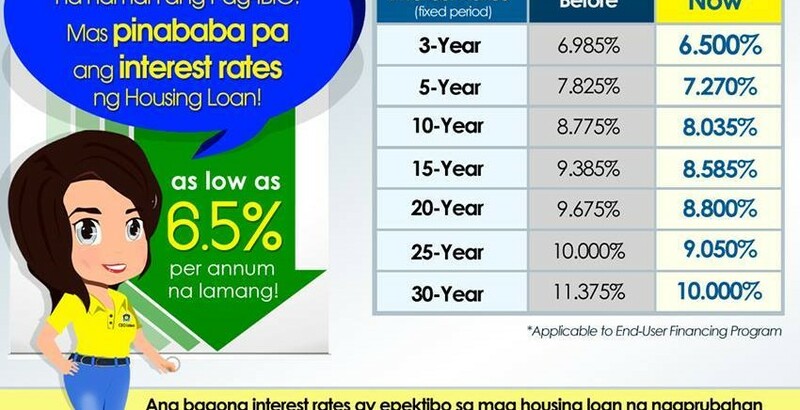 At only 5.5% per annum, Pag-IBIG home loans under the regular program are now even more affordable, the Pag-IBIG Fund chief recently announced. “Starting July 1, 2016, eligible borrowers can opt for 5.5% per annum interest rate for the first year of the loan term for housing loans up to P6 Million. This is the lowest rate we have ever offered in our End-User Financing Program,” said Pag-IBIG President and CEO Atty. Darlene Marie B. Berberabe. * 10.000% under a 30-year fixed-pricing period. The new 1-year fixed-rate can be availed by new home loan borrowers. 2. And the ratio of the loan amount to the appraised value of the collateral shall not exceed 75%. “We hope to entice our members who are eyeing home packages that are priced more than socialized housing. The computed amortization consists of the principal and interest,” said Atty. Berberabe. 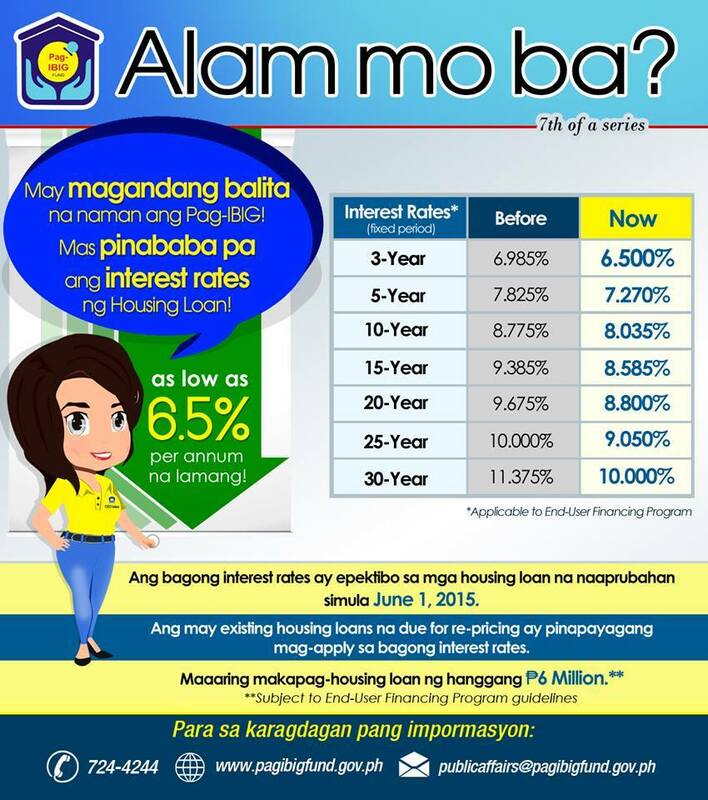 This is the fifth time that Pag-IBIG Fund has cut its rates in its home loan programs in the last 5 years. “We have made this possible by improving our fundamentals, that is, by improving underwriting as well as collection. “We also offer our Affordable Housing Program, where minimum-wage earners can borrow up to P450,000 for only 4.5% per annum. The rate is good for the first 10 years of the loan term which term can go up to 30 years. This is exclusively for minimum wage earners to help them buy a home for the price of renting one. Now our Kasambahays and Drivers can actually own homes for monthly amortization of P2,280.08, which include the principal and interest,” Atty. Berberabe said. In 2015, Pag-IBIG Fund approved P55.76 Billion in home loans to finance the construction or the acquisition of 72,270 homes. For 2016, the agency targets to approve more than P60 Billion in home loans, to finance over 76,000 homes.